“Vector ISA” RISC-V Barcelona Workshop Tutorial Presentation. Roger Espasa, Chief Architect at Esperanto Technologies, delivered a tutorial on basic semantics and operation of the vector extension, including new states, configuration, instruction encoding and inter-operation, and more. 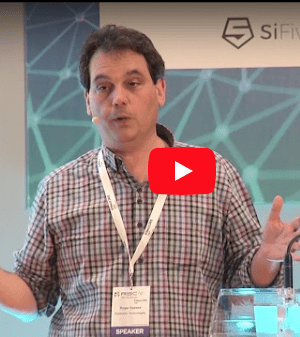 Roger Espasa, Chief Architect at Esperanto Technologies, presented a summary of the latest updates to the Vector ISA specification for the wider audience. Watch the “Privileged ISA” RISC-V Barcelona Workshop Tutorial Presentation. Allen Baum, CPU Architect at Esperanto Technologies, presented a tutorial on the RISC-V privileged ISA, including a discussion on privileged architecture needs, features, modes and use case profiles. An eeNews interview with Dave Ditzel @Esperanto Technologies: "We develop new AI processors on the open RISC-V architecture' Also, to see the eeNews Embedded article, click here.